Being in a cool pool on a hot day—it doesn't get much better than that, right? Well, unless you also have some ice-cold drinks to go along. 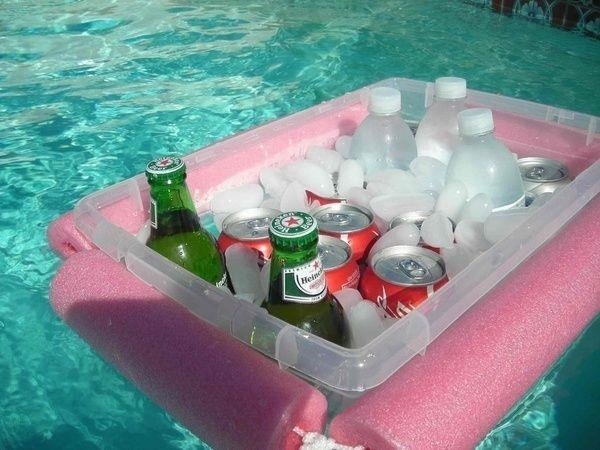 But getting in and out of the pool to grab a drink form the soda cooler or beer chest can be extremely annoying, especially if you have to grab drinks for everyone in the swimming pool. 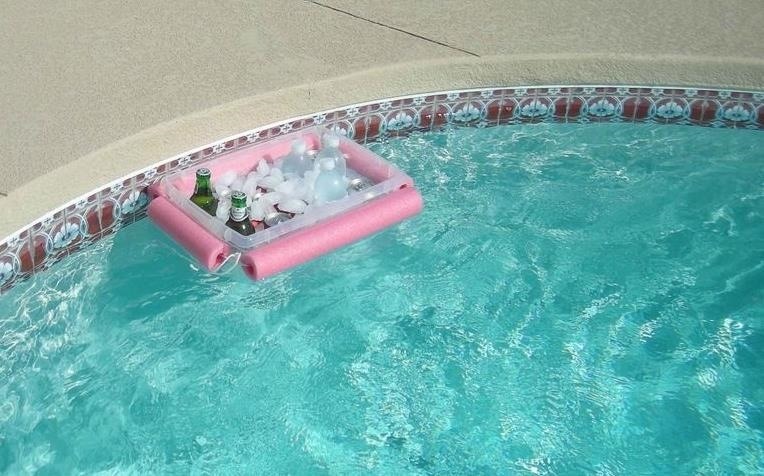 Yeah, you can keep the cooler near the pool, but what's even better? Taking it in the pool with you. 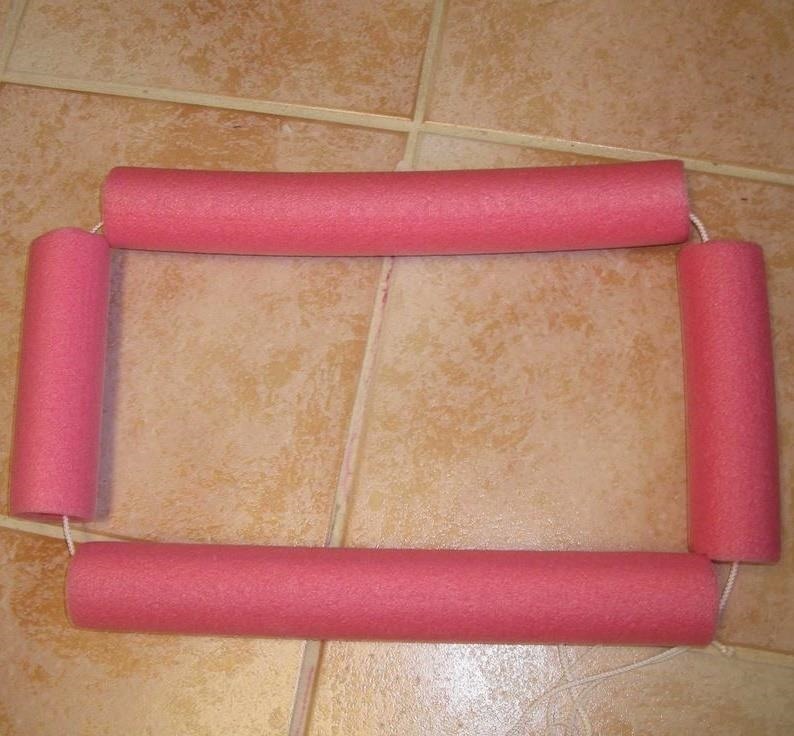 All you need is a few foam noodles, waterproof rope, and large-lipped container or sorts. 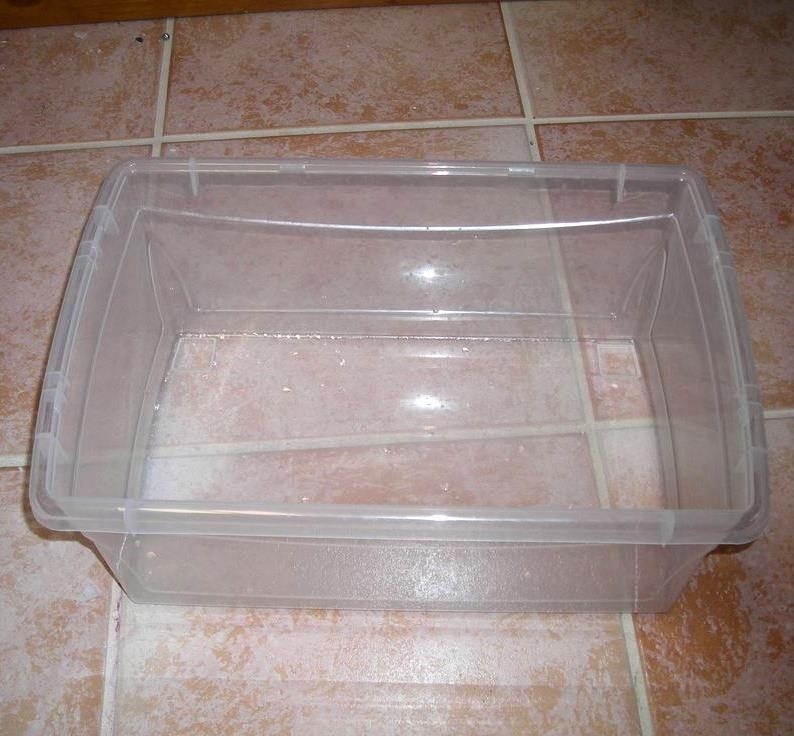 Instructables user macgeek basically just cut some really cheap foam noodles to fit the perimeter of his large plastic container, then used the rope to hold everything into place. It's simple, quick, and effective. If you have a pool, chances are you already have most of this stuff, so it's essentially no-cost, too. 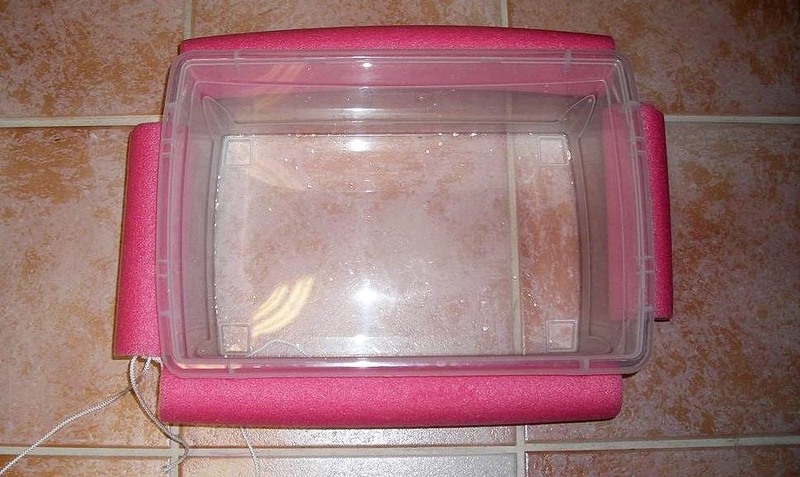 If you don't have a pool to cool off in, try making one of these 8-buck air conditioners at home, and check out these 10 summer life hacks for more hot-weather fun. Let us know if you make one!